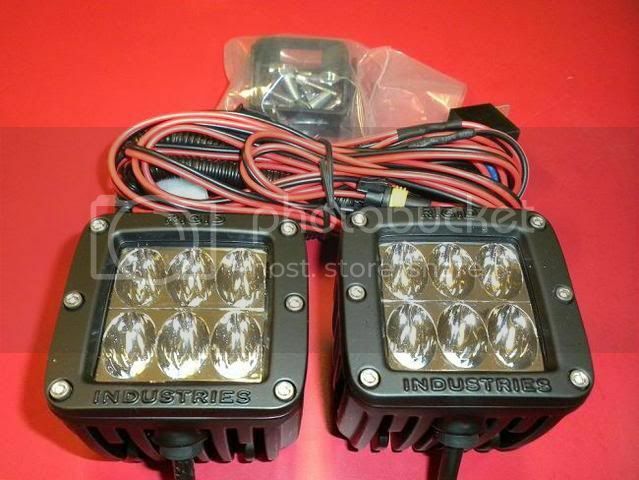 Rigid Industries is proud to present the latest in LED lighting. The D2 is our new compact light that packs quite the punch with light output. Producing over 2600 Lumens and only using 28 watts of power. The new D2 is the brightest compact auxiliary light available to date. With temperature sensing circuitry, the light unit will regulate between 80-100% power to prevent damage and keep the LED optimized for the environmental conditions. With no airflow the temperature sensors will automatically dim the light roughly 10%, virtually imperceptible to the eye. This temp sensing circuitry was developed to help protect the customers investment. The D2 is simply amazing. That Edge lighting is great, I have their lighter and run it more than my factory headlamps. These look fantastic as well! New Unleashed UTV Web Site Is Live! !